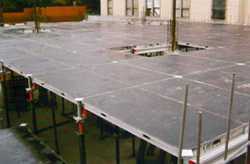 To meet the ever increasing demands of our clients we have been offering a wide range of panel made framework. These are customized while keeping in mind the inputs provided by our customers and are dimensionally accurate. In order to keep pace with the requirements of the clients, we are offering a quality assured assortment of Aluminum Wall Panel Formwork System. The Aluminum Wall Panel Formwork System is available in various sizes and known for their easy installation. Our clients can avail from us a quality assured assortment of Aluminum Column Panel Formwork System. 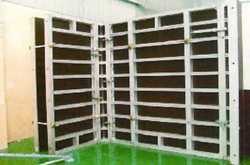 The Aluminum Column Panel Formwork System we offer is safe to use. These products are tested for their quality before being introduced in the market. Looking for Aluminium Form Panel System ?